Edith Schaeffer died March 30 at the age of 98, leaving behind a Christian community that will continue to enjoy the effects her life and writings for generations to come. She loved family, artists, and Christian community and put hands and feet to these ideas. 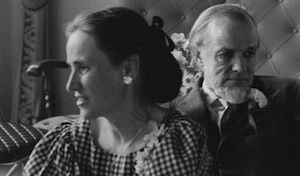 With her husband, Francis Schaeffer, she help found L'Abri Fellowship, a community that welcomed those seeking answers about God and Christianity. She also wrote numerous books and articles about Christian life and faith. I first read her book The Hidden Art of Homemaking when I was a newlywed and my husband was in seminary. In this book she describes ways to make your surroundings more meaningful and beautiful, but it's not just about keeping house. It's about remembering that we are created in the image of an artistic, beautiful Creator. When we provide a Christ-centered atmosphere, we reflect the artistry, beauty, and order of God. The concepts she presents in that book literally changed my life as I made a home for my husband. At the time, we were living in a tiny, cement-block-walled campus apartment. It was tempting to wait to put her ideas into practice until I had a house of my own. But she wisely pointed out that it's wrong for people to long for a daydream future while ignoring the importance of what they can do in the present. Her encouragement to live artistically, aesthetically, and creatively aided my transition from the working world to being a stay-at-home mother. I left a rewarding career to be at home with an infant, and I probably would've ended up frustrated without Edith Schaeffer's wise words. She showed me how to redirect my creativity and passions toward reflecting Christ. Simple ideas like plating food to look like a still-life painting, reading aloud to my family, and putting a few flowers in the center of the table have enriched my life and helped my children grow up in an atmosphere where they feel treasured and see that beauty is an important part of daily life. The Hidden Art became my textbook, and I have reread it yearly by myself and with other women since. Through her writings, she reminded me to recognize my creative abilities and fulfill my talents in day-to-day activities. She pointed out that even if I didn't ever become a famous author, I could still write letters to my grandmother or stories for my children. Her book encouraged me to continue to play the piano—I will never be a maestro but I can play at a level that entertains my family and friends. She reminded me that I can glorify God through expressing and developing the gifts he has given me. Then, years later, her words encouraged me as my husband and I again transitioned and started a church in our home. The truths about hospitality and loving through serving again aided me as a church planter's wife. She wrote that “the kitchen should be an interesting room in which communication takes place between child and mother and also among adults.” I've had more conversations than I can count in our kitchen and thank God that she pointed out the benefits of baking bread while having deep discussions and making this room a cozy place conducive for communication. Relationships, she often taught, cannot develop without good conversation. Whether in Switzerland, the United States, or China—any place where Edith Schaeffer spent time—many were changed and enriched because of her faithful life. The words of the apostle Paul are a fitting tribute: “But thanks be to God, who in Christ always leads us in triumphal procession, and through us spreads the fragrance of the knowledge of him everywhere. For we are the aroma of Christ to God among those who are being saved and among those who are perishing” (2 Corinthians 2:14-15). Lauren Brooks lives in Birmingham, Alabama, is a mother of three little girls, and is married to Joel Brooks, pastor of Redeemer Community Church.